Or: Growing Analogies between the Wine and Whisky Cosmos – Worlds Collide? “In this whisky, I can even feel the sparkle of the bubbles”, I heard a guy say who was tasting the Arran Grand Cru Champagne Cask some time ago. Aside from the screaming amount of misinformation on this label and that guy’s tastebuds, he probably didn’t understand a lot about the production process of Champagne – in the cask phase there are no “bubbles” involved at all. It was the mental suggestion and the reputation conveyed by the label which did the magic for him. Mmmhh, sad and funny at the same time. The wine suggestions seem to be exploited in other places as well: Glenmorangie Margaux Cask Finish, Bruichladdich Recioto Finish, Edradour Gaja Barolo Finish or Benriach Chateau d’Yquem Finish, just to name a few. These products show that the wine- and whisky scenes keep growing closer to each other. However, this did not happen in recent years only. The wine world has been a model for traders of whisky for quite some time now. And why shouldn’t it be like this: both wine and whisky are alcoholic drinks to be marketed and sold, both possess a mass segment and a small but growing connoisseur’s segment, both are agrarian products, both use their country’s cultural tradition and beauty to boost sales. Parallels seem to be a logical consequence – and we see them in the mutual owning companies and investors (e.g. LVMH, DIAGEO, …), in people like Mark Reynier who trangress the borders or in many merchants importing whisky along with wine into their countries (e.g. Oddbins, Jabur, Berry Brothers & Rudd, V.E.L.I.E.R., Rinaldi, …). Despite those parallels one should not forget that wine and whisky are two completely different drinks – whisky being more robust and less complicated in terms of serving and storing, but probably more demanding in terms of tasting and drinking. Is it a healthy development that both drink segments become more and more intertwined? What will the effects on the whisky world be like and what can be learned from the wine cosmos? As in every other field, the rules of economics slowly played a bigger and bigger role. Single Malt – which often used to be a side product only making up a very minor part of the profit – was connected with the love for a great drink from exceptional casks. It didn’t have to sell big time, it was a flagship in taste only, aimed at a small community of connoisseurs, representing the unique style of the distillery. Today, Single Malt is much more important for the revenues and keeps growing concerning the market share. The whiskies have to sell now – and hence often change their typicity into a mass style embraced by the consumer and taster. Some wines underwent a similar fate: for example, few Chianti Classico remain typical to their heritage, many Chateaux in Bordeaux changed their ways to reach higher scores by critics such as Parker or Suckling – in order to sell better. Hence the wonderful variety of wine and whisky is shrinking. There is no doubt that modern techniques enhanced the quality of wines and whiskies, but on the other hand, the cut in costs and the raise in productivity led to negative aspects like the use of barley or grapes with higher yield, manipulative production measures (e.g. wood chips, finishes, overdone barrique-treatment, tricks to speed up maturation), more vinyards and percentages of Single Malts despite lower quality, longer distilling periods, etc. – all of which even might outweigh the advantages of modernization in some eyes. Other parallels can be seen in the marketing of both drinks. Just as whisky in general became much more expensive (not to mention the Ardbeg hype and first and foremost, the recent shamelessness of some Scots) – and only a tiny portion of that had to do with barley prices, most of it was mislead greed and a falsely conveyed shortage of whisky according to numbers published by the industry – wine also increased in price quite drastically. Due to a fantastic 2005 vintage in Bordeaux, subscription prices skyrocketed, and many other wine-producing regions in the world jumped on that train as well – after having increased their prices already! It is quite hard to find a nice Chianti under 10 Euros and whatever happened to those fair-priced Baroli or red Cuvees from Austria? Unfortunately, people keep on buying wine and whisky regardless of the bucks to drop and the tag numbers won’t go back once they are set in the mind. I hope this will change soon as whisky prices are reaching ridiculous heights and their presentations become pieces of art. But alas, the presentation of the bottle gains more and more importance in both segments anyway. Clever marketing strategies around that create expensive cult wines and whiskies with doubtful quality but impeccable looks. But can the real fans really afford those any more? Many cult wines came from single vinyards with exceptional growing conditions, and these great Crus convinced the connoisseurs. However, in recent years ever more Single Cru wines not worthy of such an outstanding classification – and price – swamped the market. Nevertheless, a huge part of the classifications, e.g. that one of 1855 in Bordeaux, are still intact and justified: 1st growths, ‘super seconds’, reliable Cru bourgeois wines (a term that just underwent a change for the worse), Riservas and Einzellagen provide a helping tool for the connoisseurs. ‘Second wines’ of alternating quality made the expensive winemaker’s products accessible to a broader market. But many ‘second wines’ from famous wineries suffered a significant drop in quality, only their name remains as a selling point. Whisky marketers learned from models like that. In earlier years, the 10-12 y.o. standard whiskies were the hallmark of a distillery and few versions were available. Now, these bottlings receive less attention in every aspect of the field because special expensive bottlings provide a higher margin and raise more interest. As classification and exceptionalism helped sales in wine, some distilleries rightfully were pronounced the 1er Grand Cru Classe of the whisky world (Springbank), others turned into the Rolls Royce of Malt Whisky (The Macallan) or the Ultimate Islay Malt (Ardbeg) – achieving a slightly higher price in the market than their competitors. Whisky promotion has also tried to use the successful idea of ‘regional terroir’ in their marketing: In the past, the addition of the regional name to the distillery should enhance sales and lend to a recognition of quality, like in ‘Tomintoul-Glenlivet’ or ‘Longmorn Glenlivet’. As regions and their styles turn hip or out in the turn of times, Islay could be seen as the new Pomerol, and the other areas try to copy this currently successful style (e.g. with heavily-peated Speyside whiskies lacking the body for such treatments). The whisky industry always envied the possibility of wineries to rather quickly adapt to the market’s demand. Stocks didn’t pile up in the wine cellars, the wine could be sold quite soon. Distillers had to estimate the demand at least ten years ahead of sale. Only in Italy, younger whisky was desired. Marketing soon tackled this problem and started telling people that young whisky is great – and it worked! Many young drams with one-dimensional but powerful primary aromas like peat and masking cask finishes try to compensate the shorter maturation time and are bought frequently. It all seems to be a question of marketing whatsoever. These young whiskies even sell at ridiculous prices (Ballechin, Port Charlotte, Very young Ardbeg). The whisky industry even went a step further: like Primeur wines and subscription practice in wine, whisky is sold in advance now. Casks and futures are being offered to private people to gain the necessary capital faster. On the other hand the industry tries to dry out independent bottlers by not selling them any whisky or even buying back casks. Jamie R. MacKenzie from Morrisson Bowmore just said that there is no point in sustaining other companies with Bowmore’s original product: “We can do the same and reach a higher price!” From his perspective, he has a point. Furthermore, prices can be controlled easier. The wine world doesn’t really know IBs per se, but that also comes from the fact that there is no such thing as large scale wine blending to be marketed as blend. So overall, again no good news for connoisseurs of whisky and their wallets here. If you thought that fondling was a whisky-related problem, think again. This has been done in the wine industry for ages, and similar assemblages are sold in different markets under different names. To name a recent example, the very same wine by Argiano is marketed as ‘non confunditur’, as ‘Oliviera’ by Alexander von Essen and as a bottling for the Vatican according to the guide at he winery. Ardbeg, or self-pronounced ‘Ardbig’ on the Islay Festival 2007, stunned the world with a giant bottle of 4,5l (not he first one in whisky ever, but certainly the most discussed). Such huge bottles with names of Kings from the Old Testament like Jeroboam or Methusalem depending on their size make sense in wine as they lengthen and improve the storage in the cellar. For whisky, which doesn’t significantly change in the bottle for many years, they don’t make any sense at first glance. But the secondary effect does, as it is a decorative one – with such bottles being on display in bars and restaurants, the winery on the label gets recognized and hence, gets some form of free advertisement. So congratulations, Ardbeg, goal achieved: people will see the bottle, people discussed that bottle. Great marketing, but pointless for the connoisseur. With so many parallels, the marketing segments team up now. Some whisky companies use the famous names of wineries on their label if the whisky has matured in the sought-after ex-barriques like from d’Yquem, Petrus, Margaux, Vega Sicilia, Gaja or Sassicaia. Morrisson Bowmore Distillers, for example, are connected with Chateau Montrose. Go figure … . Wine drinkers might be tempted to taste a whisky casked in barrels of their favorite winery and vice versa. 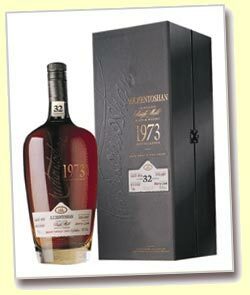 From an experienced whisky drinker’s point of view, a less heralded winery with reasonable cask price would have done. An average ex-wine cask costs about £20, but a Margaux cask, for example, exceeds this price dramatically. We can be sure that the extra-costs will be handed down to the consumer. Robert Parker jr. along with other predominantly American wine critics and their publications (e.g. Wine Spectator) have an enormous power. When they rate a wine well, its price is very likely to explode. There are different reasons for this influential position: first, people can’t try all new wines and need help. Secondly, many consumers don’t trust their own palates and rather rely on the words of experts to avoid mistakes and disappointments. With their 98 Parker Points-Brunelli they can show off their own expertise and their splendidly stocked cellar and are on the safe side. This lemming-like pattern begins to spread in the whisky world as well. 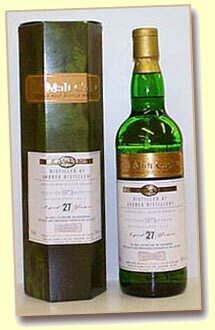 Jim Murray, for example, rated an Ardbeg 27yo 1975 by Douglas Laing at 97 points. Just days after this became public, the price of the bottle had doubled. My fellow Maniac Serge Valentin has an equal weight in this realm: whenever he rates a rare Single Malt above 95, this bottle is sure to be gone at the usual sources. I remember when he once favored a totally unknown French-exclusive bottling and German whisky forum members went crazy over the question where they could get that bottle without ever having tasted it themselves. 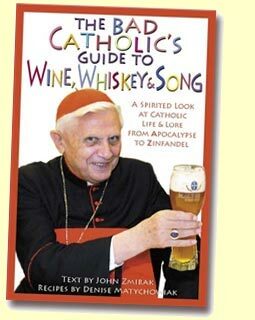 Some of these people don’t even intend to drink the whisky, they speculate with it. The industry has taken notice of the growing importance of ratings too. Many distillers print favorable ratings of their products on the label or mention it in the advertising campaigns nowadays. I was more than surprised to hear Jim McEwan talk about the Maniac’s comments on the range in the official Bruichladdich video. There is no doubt that ratings are helpful and great for the consumer, but one shouldn’t forget another negative side effect. In order to score high, many wineries have abandoned their traditional style and produce dense and ink-colored wines designed for tastings with massive primary aromas. Such wines do well in terms of scoring, but they have lost quaffability and their soul. This resulted in uniformity, an international wine style, loss of tradition and shorter lifespans in the cellar. I am afraid the whisky industry could go similar ways. Wine author Michael Broadbent recently asked, what we are looking for in a wine. Do we want a defilee of aromas prancing in our mouth or do we want typicity and drinkability? And how can wine critics be a fair judge of quaffability and finish when they spit the wine into a bucketinstead of swallowing it? These are justified questions which should also concern whisky tasters. Another sad similarity between wine and whisky is the problem of fake bottles, although it is worse at wine: according to the Süddeutsche Zeitung, estimated 5% of the top wines are fakes nowadays, many have been refilled. Like in whisky, the good fakes are hard to prove. Who knows how a Latour 1945 exactly tastes like in 2007 (not to mention different storing conditions)? Only expensive scientific analysis can bring a definitive answer. However, with so much money involved fakes will remain an issue. The prices for top wines have risen ten times since 1970 and TIMES calculated a net gain of 90% for speculators of top wine. No wonder that empty bottles of Petrus, Ornellaia, Biondi Santi, Margaux, Pingus, Screaming Eagle and other heralded wineries sell well on ebay. Fake bottles in whisky are a problem under the radar at the moment. The fakes not only originate in Italy, not only old rarities get tampered with. Unlike the top wine estates, who think of laser signatures on bottles and other measures to guarantee authenticity, the whisky industry hasn’t really reacted to this problem. The very expensive Ardbeg single casks, for example, can easily be opened and closed again without any trace. Who knows how many refills are cursing through the scene by now? Maybe the bottle designers should have invested a small portion of those £400 a bottle to provide a proper cap. Could we borrow this terminology? The whisky industry has always adopted parts of the terminology used in the wine world, mostly because those terms have been established in people’s minds. But is it necessary to call a whisky a Gran Reserva (Macallan) or a Cuvee (Springbank), especially when there are English terms like ‘vatting’? At Bruichladdich, they ‘decant’ whisky now, which actually means they pour it from one cask into another. Many distillers who produce PX-finishes call Pedro Ximenez a sherry, although the lion’s share of this product is not from Jerez. I already introduced that mind-boggling Champagne finish. Here, the wine ‘lingo’ is intended to sound innovative and help sales, but a wine buff can only wonder why the homework hasn’t been done on correct terminology and the production process. Yes, so far, but let’s change that. Of course, there are a lot of positive effects as well which are caused by the increasing parallels and cooperation between the wine and whisky scene. To begin with, it is a healthy movement in general when people think outside the box and experience new tastes and concepts. There is absolutely nothing wrong with distilleries experimenting with all kind of wine casks in order to find a proper match for their product. New paths have to be taken to improve. On the contrary, it is very helpful for grappa-producing wine estates to profit from the knowledge of the Scottish stillmen, coopers and cask managers. We can see that already in great grappae casked in different wood types. The art of blending might be another field winemakers should be interested in. Guys like fellow maniac Olivier Humbrecht who understand both worlds in great detail can only enrich the scenes with their experience and combinatory spirit. The wine-originating idea of being true to one’s ‘terroir’ also starts to be applied in whisky, which we can see in Bruichladdie’s Islay grown and Islay-bottled versions. This was done as experiment in the past: who doesn’t remember the Springbank Local Barley or West Highland expressions. Whisky starts to become recognized as an agrarian product again, for which bio-standards should be kept. Vintages also play a more important role now – because they do matter. Both drinks really do well in the market these days, which also might have to do with the fact that people become more educated and interested in sensoric pleasures. This is leading to a great spread of new distilleries and wineries all over the world. And as people become more interested, they travel to see their drink’s origin. Hence the have a catalytic effect on (agro-) tourism. Whisky drinkers recently learned how to combine the water of life with food. Whisky chefs like Martine Nouet show time and again that not only wine can accompany a fine meal. A fundamental understanding of wine and food pairing helps to create exciting whisky dinners nevertheless. Moreover, wine habits have been the patron for many other things done in the whisky scene: departed, but never to be forgotten Michael Jackson was the first modern whisky critic, and he employed the Parker scoring system and parts of its language. Wine knowledge fostered the utter care to find the right glass for whiskies. I think there is much more to come: for example, a research on the ideal drinking temperature of the various types of whisky. Let’s see what the future will bring. I have to go now and reserve a subscription for a case of Kilkerran and for the new 1964 Black Bowmore 42 y.o. to be released just before the Christmas-gift rallye. I hope this will leave me enough cash to apply for the – hopefully never to be released – Ardbeg Single Cask duelling kit presentation with two bottles and antique muskets.